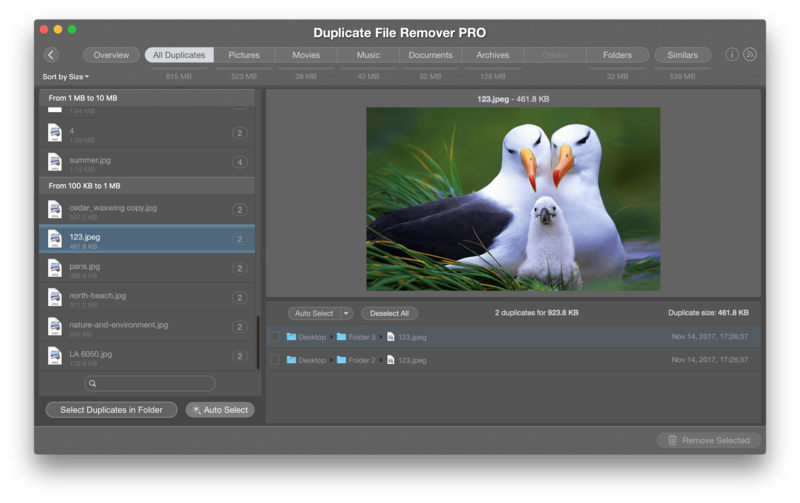 Duplicate File Remover Pro is an impressive utility for Mac. It can find duplicates on any volume and present them in a convenient way for you to quickly select unneeded copies and get rid of them. Usually, users have no problems when operating files on disks of FAT, HFS+ and APFS systems. However, a frequent issue happens with NTFS drives, when users try to remove duplicates on it. 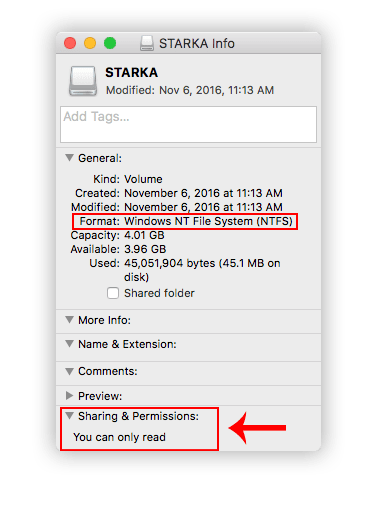 The reason is that NTFS-volume is a Windows OS default file system format and has some restrictions for operating files when you open it on your Mac. You can check the format information of the drive with the Command+I key shortcut, or open the context menu and click Get info. NTFS format disks require special drivers to be installed on Mac to make it possible to operate files from the drive. So, to be able to remove duplicates from a volume of NTFS format, you should install a driver app for NTFS disks. Such apps will allow you to change and delete files on Mac from NTFS disk volumes. There are a large number of apps on the Internet (Tuxera, Paragon, Mounty for NTFS, Fuse, Seagate, and so on), designed to help you in solving such issues. You can choose paid or free apps depending on your requirements. As soon as you have Read & Write permission for your disk, you can remove duplicate files on it. Once again, Duplicate File Remover Pro allows you to find duplicates on any volume; however, for removing duplicate files on an external drive, you should have the appropriate permissions and drivers.